Hi! 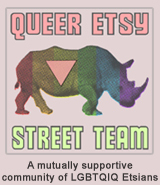 I just left a linky to my team's giveaway: Etsy Latino: Back to School. Really cool and useful items! Anyone interested in winning a Swarovski ring? Blog Giveaway!! !